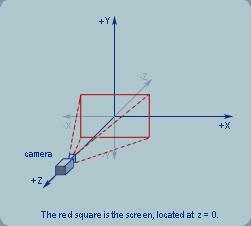 A detailed tutorial in OpenGL programming for newbies: 3D Programming with OpenGL. 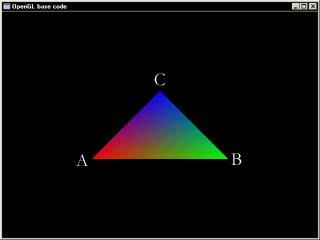 OpenGL is an interesting topic and there are many tutorials written on it. So why bother writing another one? The reason is simply I felt the lack of DETAILED information in those tutorials, the kind you would see in a book, only this time you don’t have to buy anything. Seems like people just want to write tutorials just for the sake of having a tutorial section on their site. Writing tutorials (or any other documentation or books) is hard and time-consuming. Not everyone has the opportunity and patience to write a few solid tutorials. I also feel that there’s a great deal of demand today for 3D-tutorials (be it D3D or GL). I didn’t pick OpenGL because it was “better” or more portable than D3D but because this is what I know about. In the future I will try to document D3D as well but only if there’s enough demand (send me an e-mail to let me know you’re interested in D3D if you are). Well, I think it’s time to actually start writing something useful. And here it goes.